"The analyses of the examples are sufficiently detailed to provide good illustrations of both general principles and important specific techniques of analysis, yet are presented insuch a way that tge informed reader will want to try his own hand at extending the analysis of the data. This book should be read by anyone interested in statistical methods." 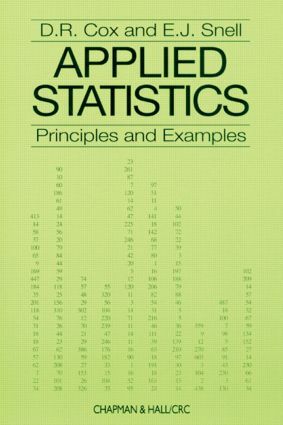 "I recommend anyone who teaches applied statistics at an advanced level to purchase this book."